As the number of websites increases in the web, the problem of sorting and analyzing the search query arises. Therefore nowadays the search engine are based on a perfect idea to figure out about the content of the webpage and a good match for someone search query, not just by looking the title tags, meta description tags and whole content of the page but also by identifying the links pointing to that page. Those links could be from inside of your same website and from outside pointing to your site and you might not even know its existence. Therefore in this post I will talk about some of the inside and outside link building strategies. The rank of your website in search engine depends upon the number of links pointing to your site and remember that the backlink coming from a popular website is more valuable then the various links coming from many other websites. Therefore the link building is the one of the crucial aspect that cannot be neglected in terms of search engine optimization. Let’s see the some of the effective link building strategies that you should follow to get the high quality backlinks to your website. Local link refers to the links pointing inside your own site. Therefore, the very first step of link building is to create a link that are pointing your own blog posts. 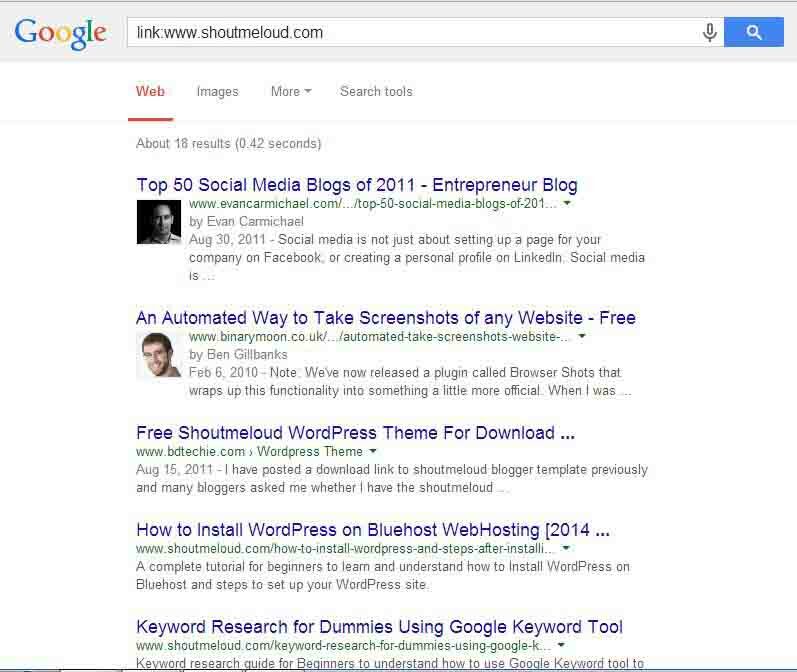 Links pointing to your own posts tells search engine about the content that are written in the post. Therefore creating some links pointing your other posts is a best practice. If you are using wordpress as your blogging platform then there are several plugins available for building links between your own posts. Most of the blogs allow you to post your own article in their personal blogs as a guest and it is a good chance for you to get a backlink from the post written by you as a guest. Remember that backlink coming from the same niche is more valuable than backlink coming from other niche therefore it is good practice to select same niche to write a guest post. This is my warning, to avoid this technique of link building because it is an absolute technique and no longer useful. I am writing this just for educational pourpose. So what is reciprocal linking ? As the name suggest reciprocal link is a technique of linking two websites with mutual understanding, you link to my site and I will link to your site. Simply it is a process of link exchange with mutual understanding between the owners of two or more than two websites. Let’s see the example in which site ‘A’ is linking to site ‘B’, site ‘B’ is linking to site ‘C” and site ‘C’ is linking to site ‘A’. This was the most popular technique used in past but it is no longer useful therefore ignore this technique otherwise search engine will penalize your website. Submitting your blog to an online directory such as DMOZ, Yahoo directory is an effective way of getting high quality of backlink because search engine trust the link coming from these directory more than link coming from other websites and there is high chances of your website to be in top of search result. Another great way of link building is by participating on do follow forums to solve the queries of other users and leave your website link as a signature which helps you to build a high quality back-links. Remember that forums are not for spamming purpose therefore do no ever try to spam by promoting your sites in forums because your user id will be blocked instantly. These are some of the effective technique of link building and all I am hoping is you kind opinions and some other link building techniques in the comments below. But if I am not wrong, Blogging Cage doesnt offer Do-follow baklinks.. I just checked with my browser extension. Thanks for your suggestion Preeti. I think they have changed it.